I’ve discovered a bulletproof solution, if you will, to elevate my busy days this Christmas season. 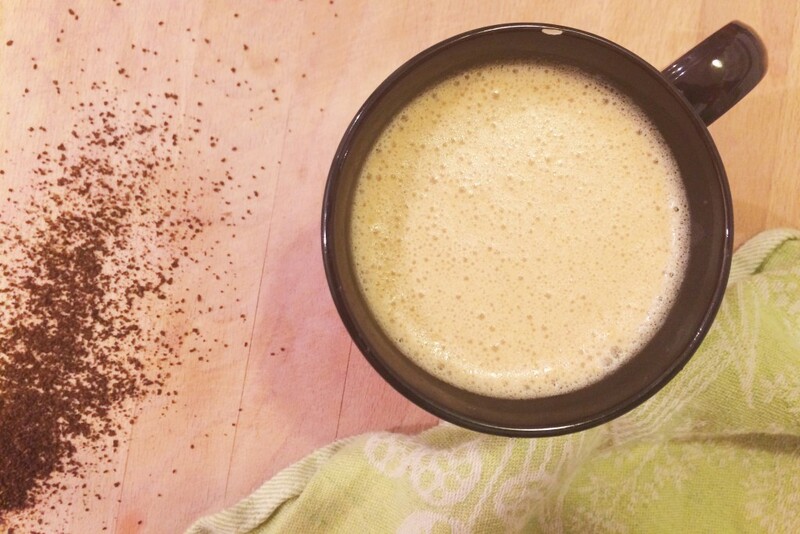 Say “woah – hey there!” and meet Bulletproof Coffee. I relish this season. Twinkling lights everywhere I look, hustle and bustle on city streets, and a constant stream of holiday favourites from my radio. There’s so much excitement to look forward to, get-togethers with friends and family being at the top of that list. Normally I start preparing for Christmas in mid-November with baking, decorating, and shopping for gifts. This year, however, was extremely out of the ordinary for me. Between moving and starting a new job, I’ve been stressed and overwhelmed to the max. A large part of that is simply because I haven’t had enough time for myself to indulge in a bit of TLC. Maintaining little rituals is such a vital part to creating a healthy balance when life gets chaotic. While my nightly baths have had to take a backseat, starting each day with a steaming hot mug of coffee is a non-negotiable. And this is where things get good. Before I go any further, I have to confess that I have never been one of those people who can down a mug of black coffee and be on my way. In recent years, I’ve heard about people adding coconut oil or even butter (c’est what?) to their coffee for a boost, but for the life of me I could never imagine why. Load me up with cream and a bit of sugar and I’m a happy girl. 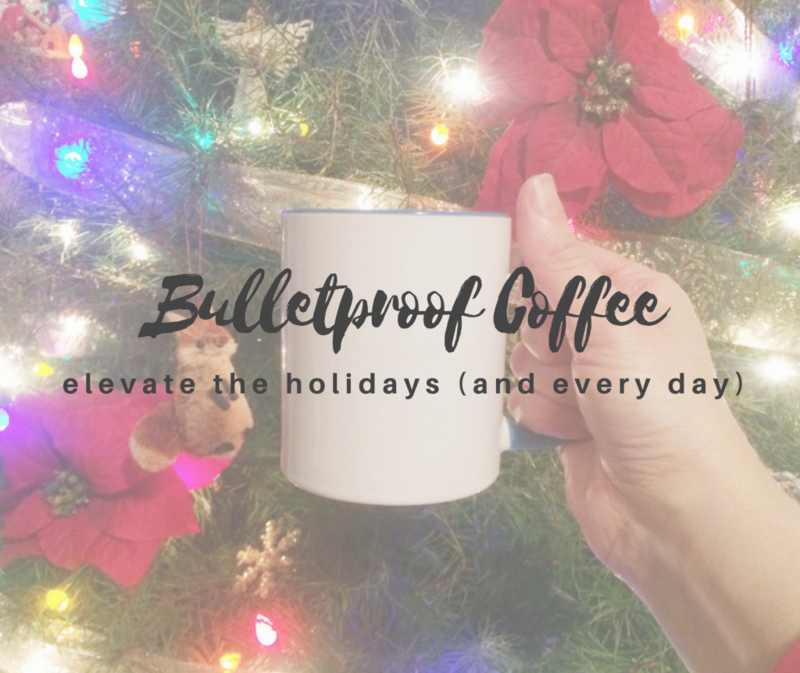 Last month, when I should have been baking shortbread but was instead surrounded in a sea of half-packed boxes, I heard about Bulletproof Coffee. 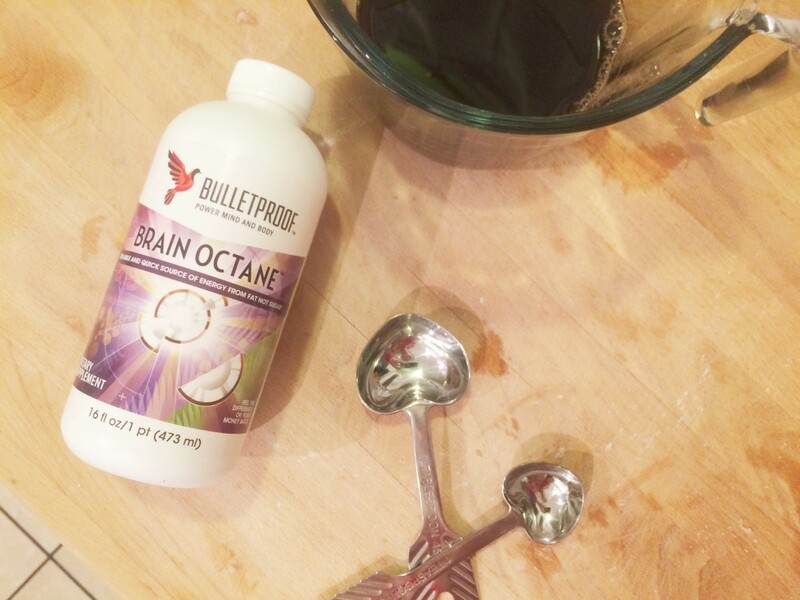 Bulletproof is more than simply coffee – it has since totally elevated the experience of my morning routine. Hear me out. I have to be honest and admit I was entirely skeptical before my first sip. Reluctantly, I popped open the ghee, twisted the cap off the Brain Octane (aka caprylic fatty acids sourced from coconut oil), and brewed my first cup. I poured the three ingredients into my blender, blended for 20 seconds or so, and attempted my first sip. Boom! The flavour knocked my socks off! It was nutty, a bit creamy like a latté, and tasted nothing like I expected “butter and coffee” to taste like. The best part was that I made it through my day with flying colours, more energy than usual, and the mental clarity I’d been lacking in recent weeks. 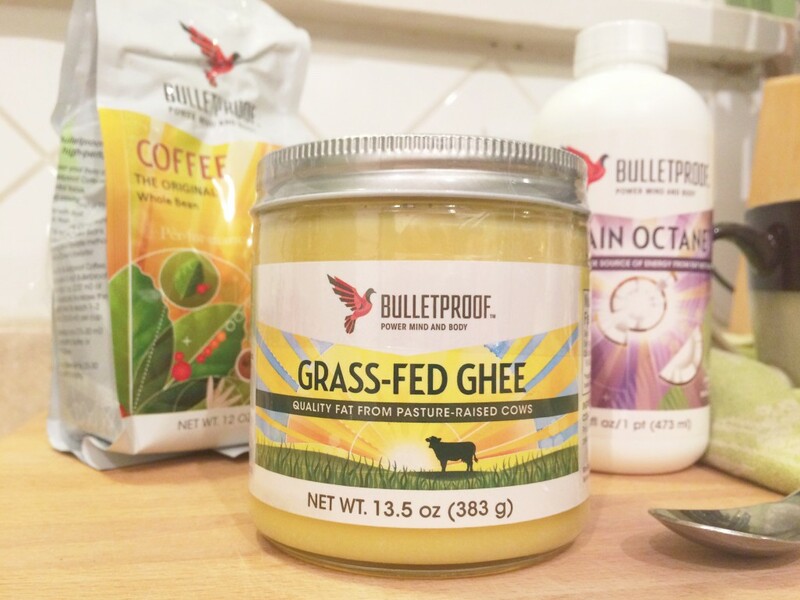 By blending ghee (grass-fed unsalted butter) and the Brain Octane oil with freshly-brewed coffee, a mug of Bulletproof coffee provides a genuine boost to start my busy days in a way that is low in toxins, high performance, and chalked-full of healthy fats to fuel me. It’s keeping me more alert, awake, and focused. Plus, because it’s not loaded with sugar, I don’t experience the post-bean crash an hour or two later. I can’t necessarily do anything to change each day and what I need to accomplish in a 24-hour period, but I can do things for myself to help make the daily journey a little bit easier. A mug of Bulletproof coffee in the morning is a super simple thing I can do for myself while I’m putting on my makeup or dashing out the door. Your turn: How are you surviving the holiday season and the stresses that come with it? 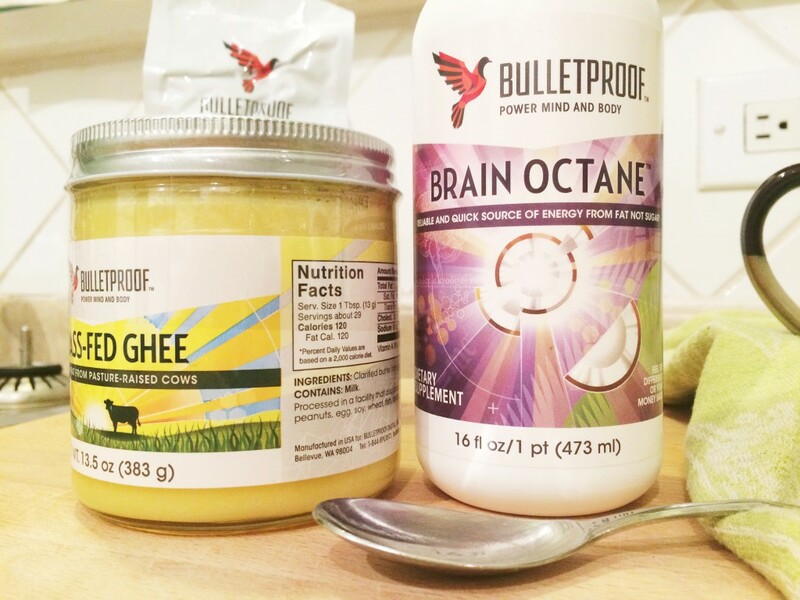 Have you had a chance to try Bulletproof Coffee? I’d love to know what you think! It really helps me set a positive tone for the day though. Love it!